We’ll See You in Secaucus! Heading to the Supernatural convention in Secaucus? Random Acts is too! Our staff will be at the convention all weekend long, and we can not wait to meet you. Stop by our table in the vendors’ hall for some kindness-fueled fun. In addition to hanging out, having fun, and chatting about Random Acts, we will also be partnering with a local organization. This year, we are collecting donations for The Hoboken Shelter. 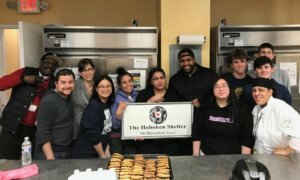 The Hoboken Shelter’s mission is to provide “meals for the hungry, shelter for the homeless, and services to support people to become housed.” They serve 500 meals each day, shelter 50 people each night, and host 1,000 showers each week. In addition to food and shelter, the Hoboken Shelter also provides counseling, case management, job and life skills training, creative arts workshops, emergency homelessness prevention grants, and permanent supportive housing solutions. Their ultimate goal is to end homelessness one person at a time. I will not be at the convention, but I still want to help! There are still plenty of ways to help if you will not be at the convention this weekend. You can donate to the Hoboken Shelter online, or look into volunteering with them. Don’t live in New Jersey? Check out your local homeless shelter and look into ways to donate time, resources, or money. 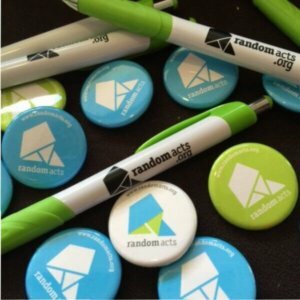 You can also make a donation to Random Acts either at the table or online. We hope to see you September 28-30 in New Jersey!